riedrich-Jones and Overman-Jones Funeral Homes provide funeral and cremation services to Naperville, Plainfield, and the surrounding area, including the communities of Lisle, Warrenville, Aurora, Crest Hill, Shorewood, and Bolingbrook, Illinois. Contact our family at either location for information or to speak directly with a funeral professional. 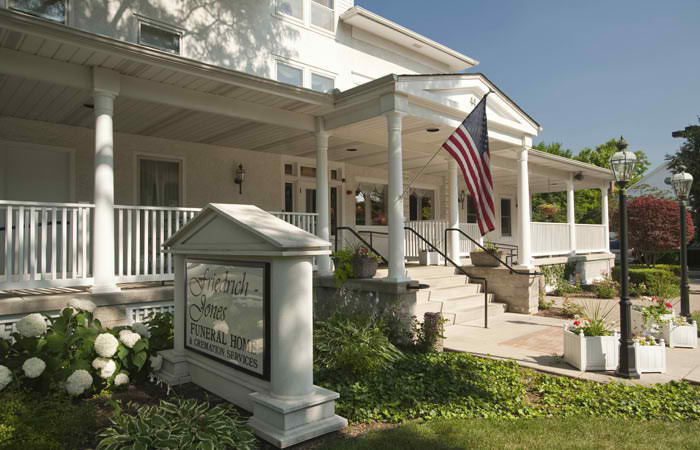 The Friedrich-Jones Funeral Home is located in the heart of historic Naperville. Our facility is truly unique—built in the late 1800s, we have a gracious, home-like feel with a big front porch, while providing those modern amenities your family expects and deserves. Maintaining its historic warmth and charm, Friedrich-Jones Funeral Home offers three large chapels, two conference rooms, a children’s room, two lounges, and a state-of-the-art preparation room. Situated in a beautiful walk-to-town historic neighborhood, we are less than one block from the beauty and tranquility of Naperville’s Riverwalk. Ample convenient parking space is available for our guests, both in our large lot and on adjacent area streets. Serving our families with youngsters, our facility is located alongside a neighborhood school, allowing those children attending services to take a break and play in the relaxed environment of this wonderful school park. Enjoy a virtual tour of our Naperville location. We encourage you to visit our home and meet our family and staff. To ensure you receive the proper attention, please call ahead for an appointment. 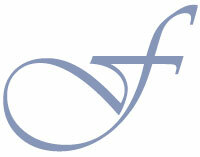 Overman-Jones Funeral Home is located in quaint downtown Plainfield. Our stately new building is fashioned in a warm French country style, a design that is bright, warm, and beautiful. This spacious facility offers two large chapels, two conference rooms, selection room, children’s area, two lounges, and state-of-the-art preparation room. Our entire facility is on one level, allowing easy access for our guests. Ample parking is available, both in our large parking lot and on adjacent streets. 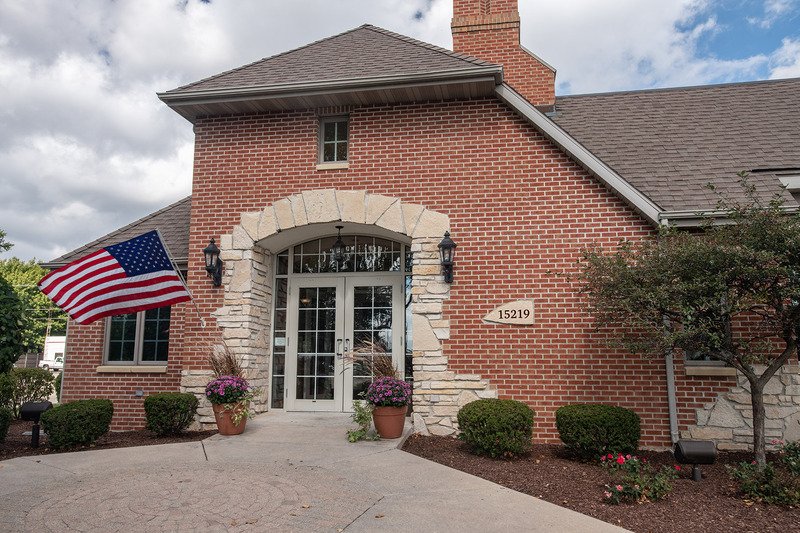 Serving Plainfield, South Naperville, and the surrounding communities since 1955, Overman-Jones is the only funeral home in Plainfield. Enjoy a virtual tour of our Plainfield location.